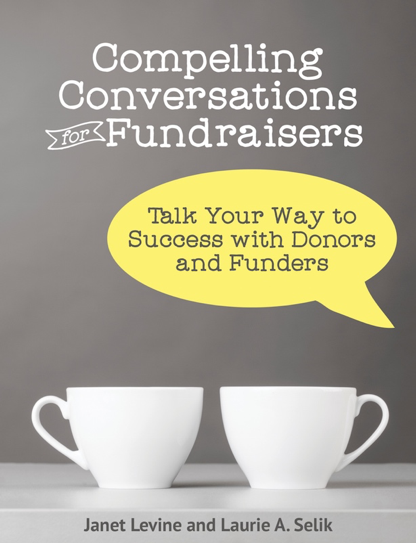 Constantly, I am reminded why this blog is named “Too Busy to Fundraise.” Because you are. And you shouldn’t be. A lot of the reason is—I hate to say it—self-inflicted. Instead of sitting with your boss (be that the ED, the Board Chair, the Development Director—whoever) and hammering out realistic priorities and spend your time meeting the goals you both set, you go with the flow, doing whatever is asked of you or that which comes up in front of your face. Instead of writing (yes—pen to paper, hand to keyboard—words in black and white!) out your plan and gaining clarity on what you will be doing (and what you won’t), you concentrate on what has now become urgent (the grant deadline, the gala is imminent—oh shoot! We forgot to send out the direct mail) and ignore the important. Stop it. Stop it right now. Learn to say no. No, I cannot call the plumber, fix the window, be our representative to some meeting that will not do anything to help identify, cultivate or steward possible and real donors. My focus must stay on those activities that will raise funds for our organization. Today, tomorrow, and in the future. So, no. You as the professional responsible for fundraising should not be entering data in the database. There should be database entry staff to perform that role. And if there is not, it is your job to show your boss why that lack is costing your organization money. Start with a development calendar.It needn’t be fancy. A chart with a box for each month will suffice. Into each month put the things that you should be doing to raise funds for your organization. For example, “Write the direct mail appeal.” And “Send out direct mail.” Put in how many meetings you will be having with prospective major gift donors each month. How many to say thank you to existing major gift donors. How many one on one meetings with board members will you have each month? Put those in. What grants do you need to write, track, report on? What events must be planned—when do those invitations need to go out? Everything. Everything that you must do to bring in funds. Take that calendar to your boss, your development committee chair, review it with staff. Next to each item, put a name. That is the person who is primarily responsible for getting this done. Your name should not be the only one on the calendar, though do understand that if you are development director, your main job is to manage the development efforts. Notice that word manage. That means that you ensure that it is being done; it doesn’t necessarily mean that you are the one doing it all, though some days it will feel that way. Once you have your calendar and you know who is doing what, you can begin focusing on getting it all done. I’m not going to pretend it will be easy. But once you have a plan; once you know when things will occur, you will find that you are no longer too busy to fundraise. This entry was posted in fundraising and tagged calendar, cultivation, development, development calendar, development directors, fundraising, Goal-setting, planning, stewardship. Bookmark the permalink.